Tonight we talk with Seth Wispelwey of International Justice Mission and the organizer of Recipe for Change. We talk about modern day slavery in the tomato picking industry and what you can do to help alleviate it. Click on the websites below. for more information. The UN observer says it’s only a matter of time before Assad’s government falls. While that may be true, the civilians that haven’t already fled country could be easily massacred by pro-government forces/population and Turkey has already said it would not tolerate a Kurdish state in Syria’s northern portions. Fighting continues in Aleppo. Needless to say it’s a scary time. “O God, forgive our rich nation where small babies die of cold quite legally. O God, forgive our rich nation that lets children be the poorest group of citizens quite legally. O God, forgive our rich nation which thinks security rests in missiles rather than in mothers, and in bombs rather than in babies. O God, forgive our rich nation for not giving You sufficient thanks by giving to others their daily bread. “Whenever evil befalls us, we ought to ask ourselves, after the first suffering, how can we turn it into good? So shall we take occasion, from one bitter root, to raise perhaps many flowers.” –Leigh Hunt. p.s. 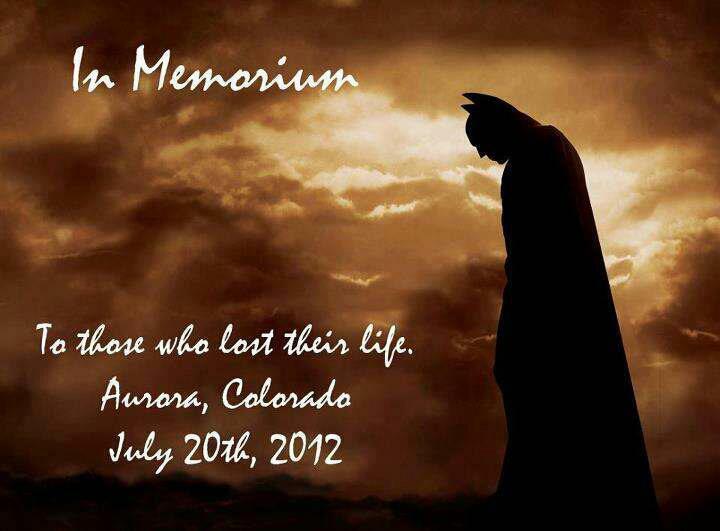 Remember the Batman story is about creating a new life out of one’s tragedy. Our hearts go out to all the victims of violence, and the communities who survive it. Only good point is there was a brief sitting of parliament before adjournment. It’s still a standoff IMHO. 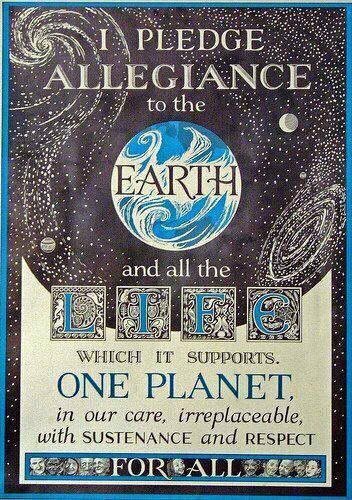 This is truly a pledge of allegiance I can get behind.